Petrina is part of our Asian team and handles its regional cases. 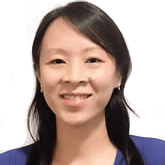 She holds a Bachelor of Biotechnology (Honours) from the University of Queensland, as well as a Bachelor of Science from the University of New South Wales. Petrina brings with her more than 10 years’ experience in the field of patent and trade mark law, having worked in both large and mid-sized law firms prior to joining Pizzeys. She is particularly well-versed in Singapore patent law, having been responsible for the prosecution of several hundred patent applications through the various substantive law changes made since the year 2004. Before her lateral move to the IP profession, Petrina had several years’ working experience in various life sciences research institutions, including microbiology, biochemistry and clinical research laboratories. Her interest remains in the bio-related fields of technology, although she is always keen to learn more and discuss about new technologies in other fields.